As part of the MA/MSc Design Innovation programme, Professor aladin aladin will be delivering a lecture at Loughborough University London to discuss the role of empathy in design research, and will explore how to incorporate the heart and mind in the research process. In advance of the lecture and workshops taking place at 10am on Monday 16 April 2018, Professor aladin has provided the following blog post as an introduction to the discussions. Operating with empathy is often considered an obvious feature of successful and effective design projects of today. However, ‘being human’ is too often expressed at the rhetorical level and too little instituted or actionable at a primary, root-and-branch level. In this lecture, I will discuss the implications and challenges of applying ‘heart and mind’ to the professional domain, and will outline the need for researchers to create bridgeheads of practice in this territory. This notion is a common theme which is found through much of my own research, and is a key feature of the MA/MSc Design Innovation programme at Loughborough University London. 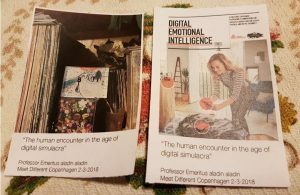 I was recently in Denmark at the inauguration of an enquiry and call-to-action by Conferize in respect of the value of the face-to-face encounter in the digital era. Yet even amongst a roomful of the country’s most astute and experienced events and meetings producers drawn from every imaginable sector, the neutral observer would have been startled at the degree of asymmetry in people’s understanding of the importance of being able to work with relational insight whether operationally or strategically. To increase our prospects for success in the long run it is worth the trouble and effort to ‘fix’ and improve our productivity, not least our ability to generate design which is more likely to be able to withstand the test of time. The means and methods which will make that difference and will add value need to be practical [meaningful, intelligible, actionable for a spectrum of participants] and foundational [indispensable in all cases and never optional]. A checklist can help, but is no substitute for the roller-coaster experience of committing to trial and error; to adapting, discarding, changing, giving way and accepting the unpredictable – which will challenge comfort zones as much as it will be merciless when faced with egotistical and narcissistic styles of practice. Note: Humility and compassion to self will also be important to nourish. 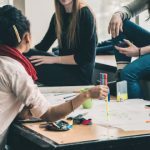 We should have ambition to create a decent self-directed learning framework inculcating a values and empathy-guided approach to project preparation.The Programme for International Student Assessment (PISA) is an international survey evaluating education systems worldwide; it is undertaken by the Organisation for Economic Co-Operation and Development (OECD) and tests the skills and knowledge of around half a million 15-year-olds. It’s subject to some degree of cross-cultural international critical scrutiny and has influence on education planning across the globe. The image and schematic above might be useful in shepherding our thoughts towards speculation about the kind of benchmarks and bullet points which might be helpful for our preparations in the ‘adult’ world of work or at least nudge us into reflecting on whether in fact we feel these have any relevance at all to the ‘real world’. 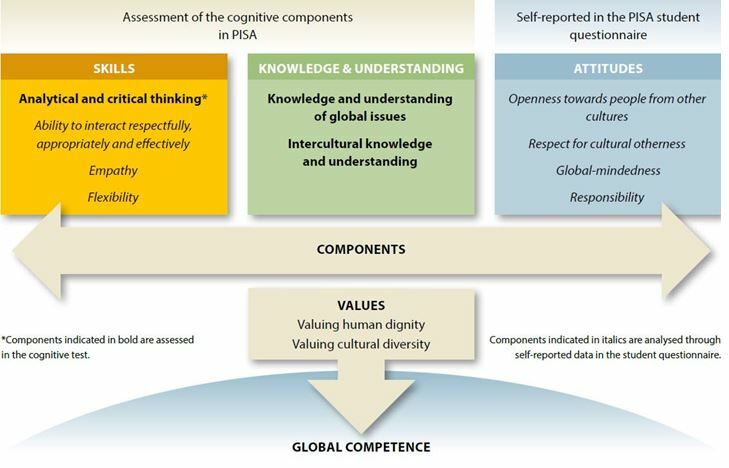 You will not fail to note however that ‘Values’, ‘Understanding’ and ‘Empathy’ are terms which are prominent as reference points in the PISA evaluation process. Dr. Ksenija Kuzmina, Asst. Professor & Programme Director of Design Innovation Programme, Institute for Design Innovation, Loughborough University London. Emeritus Professor aladin aladin has expertise in being able to bring together into one place conflicting agendas and disparate worlds, thereby unlocking potential and cultivating learning through cross fertilisation. 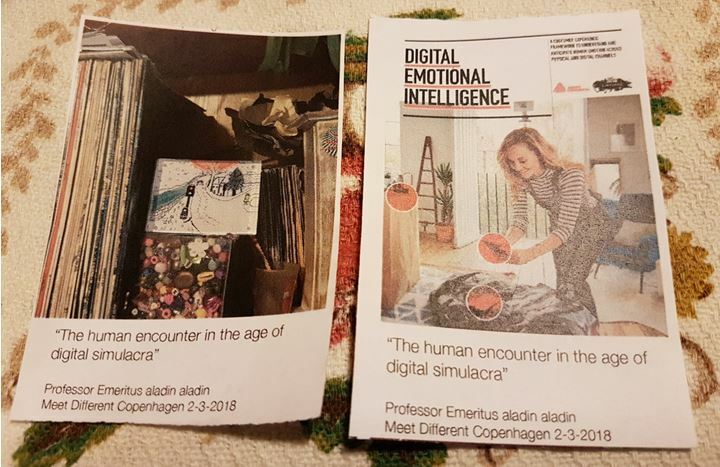 He is internationally active as a strategy consultant; he is also an ‘anti disciplinary’ academic of wide-ranging interests and an outsider artist. To find out more about Professor aladin aladin and to book your place for his lecture, please visit the events page.